We are based in Warwickshire and specialise in breeding pekin bantams, call ducks and Indian runner ducks, all of which are suitable for back garden dwelling and make excellent pets. Cotswold Chickens and Home Farming have everything needed for keeping chickens in our brand new purpose-built premises in Kineton, nr Stratford-upon-Avon. 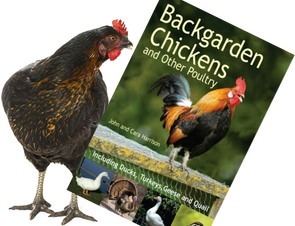 We sell a wide range of affordable housing, equipment and run Chicken keeping Courses. The birds we stock are 11 varieties of hybrid pullets as well as bantams, ducks, quail and table birds. Our new shop is now open complete with a shop, educational area, coffee bar and separate Poultry Barn. Our staff are dedicated poultry experts on hand to help you; whether you need advice on choosing and caring for your birds, help with wing clipping or if you fancy a chicken chat - pop in for a coffee or give us a ring! All our breeding stock is listed above, we sell hatching eggs through to POL. Please feel free to contact us via telephone or email to check what stock is available before you visit. All staff are willing to answer any questions you may have. We supply chickens From Day old Chick up to Point of lay 18 week old, at very competitive price, fully vaccinated. Can supply to any Number from 1 up to more than 1000. BUY MORE SAVE MORE. our chickens GOOD for you to keep in the back yard or for Resale again. please call , we always do a good deal.